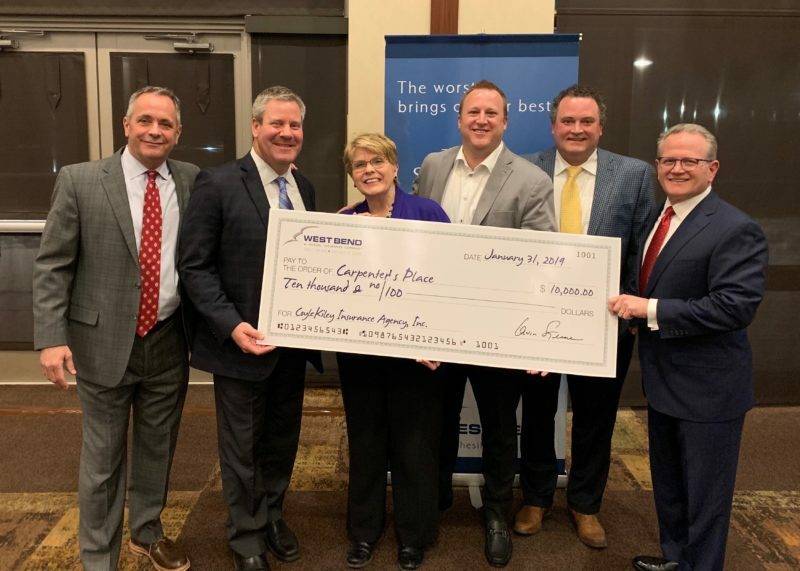 Thanks to a nomination by CoyleKiley Insurance, West Bend Mutual Insurance Company selected Carpenter’s Place as one of two nonprofits in the State of Illinois for its 2019 Spirit of the Silver Lining Award, which honors dedication to delivering a silver lining to those in need. We are humbled and honored to receive this recognition. These funds will help us continue our newest mission; to help families in crisis secure or maintain housing. Since 2006, West Bend has awarded more than $1,000,000 in grants for sustaining support, special projects, or capital projects to nonprofit organizations representing a broad field of interests, including, but not limited to, arts and culture; education; the environment; family, youth, and elderly; health and human services; medical research; and community development.